There are certain foods that a woman should avoid during pregnancy as they can alter their metabolism and can have a negative impact on fetus and mother’s health. In this article, we will discuss the foods to be avoided during pregnancy and make a healthy choice. 1. Raw eggs– Raw eggs, as well as desserts and sauces that contain raw eggs such as mayonnaise and cakes, should be avoided during pregnancy. They may contain salmonella bacteria that cause stomach upset, vomiting and diarrhea. Pregnant women may consume egg if it is properly cooked and yolk is firm. 2. Unpasteurized foods – Unpasteurized cheese, milk, butter or unpasteurized juices may cause foodborne diseases such as Listeriosis that have flu-like symptoms and may cause miscarriage. 3. The high amount of caffeine- Too much caffeine during pregnancy may result in a low birth weight baby, a preterm baby, stillbirth, and abortion. Caffeine is a diuretic that crosses the placenta and affects the heart rate of the unborn baby. Caffeine may cause sleep problems and decreases the level of calcium in the body. Some doctors advise that caffeine containing drinks should be totally avoided during pregnancy, but according to some doctors consuming less than 200 milligrams of it per day is safe. 4. Certain fishes – Mercury damages the brain and delays the development of the fetus. It is better that mercury-containing fish such as Swordfish, Tilefish, and Mackerels should be avoided during pregnancy. Pregnant women should also avoid shell fishes as they may cause seaborne diseases. Fishes such as salmon, bluefish, trout, and walleye are cultured in contaminated lakes and rivers so better avoid eating them. 5. Alcohol- Say no to alcohol during pregnancy as alcohol increases the risk of miscarriages, fetal alcohol syndrome, and stillbirths. 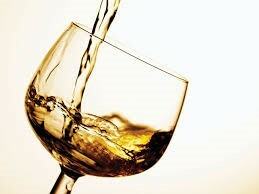 The alcohol crosses the placenta and, may cause mental retardation, heart defects and other physical deformities in the unborn child. stop drinking alcohol totally if you are expecting. 6. Unwashed vegetable and fruits- Wash vegetables and fruits thoroughly before eating to eliminate disease-causing microorganisms. 7. Raw sprouts and beans- Raw sprouts and beans may contain harmful microorganisms and may cause food poisoning. 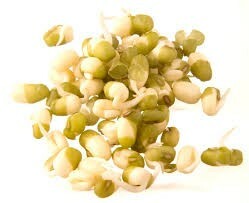 Beans and sprouts are the richest sources of proteins, vitamins and minerals so eat cooked beans and sprouts. 8. Refrigerated Seafood- Refrigerated seafood should be avoided during pregnancy as they are contaminated by Listeria bacteria and may have adverse effects on both mother and child’s health. 9. Aerated drinks– These drinks contain a high amount of caffeine which may affect the baby’s development. They contain artificial sweeteners such as saccharin and colors that may be harmful to the baby. In addition, these drinks do not contain any nutrition and may trigger heartburn. A complete diet is very important during pregnancy for mother and for the growth and development of the unborn baby. We advise you consulting your doctor before you minus any of the above-discussed foods from your meal. This article gives extra information which is very helpful. A list like this is very handy and helpful for all pregnant ladies around the world. This app is very helpful and proves to be a true friend to pregnancy and parenting.